Music Festival " Sueños de Libertad"
The festival launches a new image and dates. The event will start with a night of acoustic concerts at the Baluard de Santa Llúcia (Thursday) and will continue with the performances of bands of national and international on the stage located in the commercial dock of Ibiza harbour (Friday and Saturday). 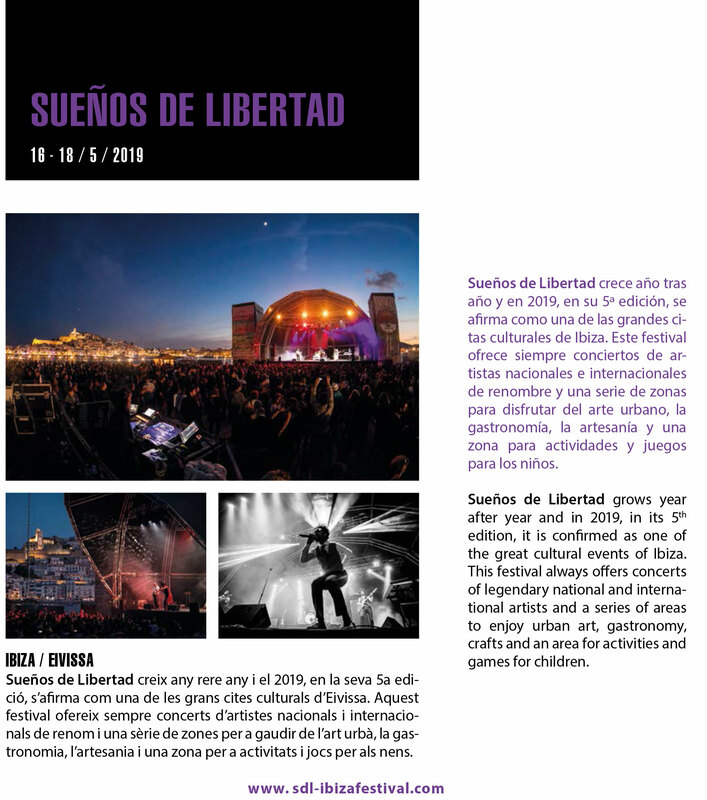 Sueños de Libertad will return with strength in the spring with a cultural offer that will fill the most emblematic neighborhoods of the municipality with music, art and gastronomy.